Flea control can usually be handled simply, as long as you take the necessary steps to prevent an infestation. 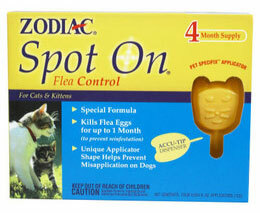 Flea control is not easy, nor is it a one-time quick-fix. You must be flea-doggedly consistent and persistent, especially if you don’t want to constantly resort to using all sorts of chemicals. Once your pet has been infested with fleas and is in discomfort or pain, there really is no point in trying a gentle remedy – you must eradicate the fleas as quickly as possible in order to ease the animal’s suffering. The good news is that there are many products that do work, some better than others, and some for longer periods of time than others. The problem with using some of these products, which contain insecticides, pesticides, and other toxic substances, is that their repeated use can build immunity requiring frequent use and perhaps at stronger doses. The cumulative effect of exposure to these chemicals has never been argued to be beneficial to humans or animals. How harmful these products can depends on individual sensitivity, frequency of use, and the general health of those coming into contact with them. If you choose to try to avoid some of the products we will discuss here, and go a more natural route, you need to become ever watchful for the first signs of your pet scratching or licking itself as well as any unusual bite marks or welts on your pet’s skin. Remember that the skin is the largest body organ, and healthy skin is not as tempting to a flea as the skin of a sickly animal – if your pet has very dry, flaky skin, which causes him to scratch and create open, bleeding sores, the fleas won’t have to waste any energy in order to feed! Your pets health begins from the inside out, and remains a constant concern from the time you bring your new pet home and all through his life. Natural flea control (or at least less toxic) requires daily grooming, excellent nutrition, a clean living environment (for you and your pet), and an ever-watchful eye for the first signs of the pests. A flea is a microscopic, wingless, hopping insect, classified as a parasite (an organism that lives on another species [host], from which it obtains its required nutrients); and a vector (an insect that transmits a pathogenic virus or bacterium). While tiny in size, the flea can cause huge problems for your pets, your home, and even yourself! In order to complete its life cycle, a flea must find a warm-blooded animal host, attach itself, feed several times daily by biting and drinking the blood of its victim, and finally lay its eggs. The flea is flat (like a sunfish) with a hard exterior, making it difficult to crush, and easy to hide in your pet’s fur! The adult flea can leap from one host to another and begin laying eggs immediately. In fact, the flea is a remarkable jumper, able to leap vertically over 7” and horizontally over 13” flea dirt (approximately 200 times its body length!). 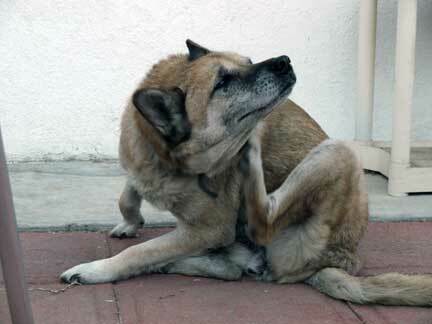 If you notice that your pet has begun to scratch, you should examine him for fleas. Look closely beneath his fur – you may see tiny fleas running quickly along the skin’s surface. You may also notice “flea dirt”, a mixture of flea feces and digested blood, reddish-brown to black in colour, similar in size to grains of pepper, stuck to your pet’s skin. It is always easier, safer, less expensive, and much, much less painful to immediately get rid of a few fleas than it is to deal with an infestation. Try to get into the habit of examining your pet after every outing in order to prevent a flea infestation in your home. Take a good look around the animal’s neck and tail base for adult fleas crawling on the skin, or for scabs from the bites themselves. If you use a flea comb (very fine-toothed) and brush your pet over some white paper or a white sheet, you may be able to see flea dirt fall from the animal against the white background. You should also check your pet’s bedding for evidence of flea eggs and/or digested blood from the adult fleas. 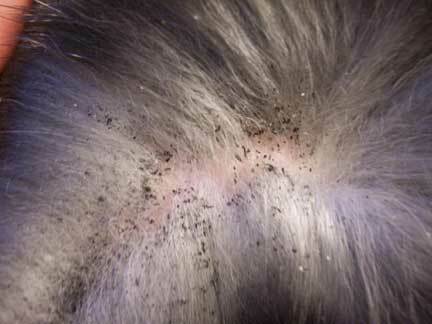 Fleas will also bite humans – if you notice small, red, itchy welts on your body, and little specks that look like dirt on your bedding or clothing, this too may be a sign of flea infestation. Any time your pet comes into contact with another animal with fleas, (at kennels, dog parks, friends’ homes) you must consider that your animal may become infested. Even though the flea needs a warm-blooded host to mature, the various pre-adult stages are resistant to cold temperatures, and will “bide their time” waiting for ideal conditions (hot, humid, and dark) to emerge. The egg can remain viable for a few days to a couple of weeks before emerging as a caterpillar, but the caterpillar can remain inside its cocoon for a period of a few weeks to several months, and sometimes as long as a year! Temperatures around 20 – 25 degrees Celsius, with approximately 70% humidity, are prime for adult development. That’s why, in many areas, summer is the most difficult season for flea management. Once an adult female has found a host, she will bite and feed 2 – 3 times daily, and lay 20 – 30 eggs per day. Over a 2 week period, the average life span of the adult, one miniscule flea can do tremendous harm to your pet and family members. During this average life span, one adult flea will lay between 250 – 450 eggs. In ideal conditions, the adult female can live for several months, and produce a few thousand eggs! Flea eggs hatch into tiny worm-like larvae, which immediately begin to feed on the flea dirt left by the adult female. The flea larva then spins its cocoon, and waits for optimal conditions that signal the adult to emerge and immediately begin to feed on the host. This vicious cycle is continuous; therefore you must simultaneously kill the adult and prevent the egg from developing in order to end an infestation. your pet seems weaker, lethargic, hungry all the time, or starts to lose weight chances are he has been infected by tapeworms. There are over-the-counter medications that treat a broad spectrum of worm infestations, and should handle the problem – but you must, at the same time, consider the source of the tapeworm, and deal with your flea problem! If your pet doesn’t seem to respond, or seems to be getting sicker, it is always advisable to contact your veterinarian. This product contains insecticides or nerve agents, and either emits a gas which is toxic to fleas, or a product that is absorbed into your pet’s subcutaneous fat layer. A collar cut into small sections and placed inside a vacuum bag used to vacuum up flea eggs and larvae is an excellent way to kill the parasites. Dispose of the bag immediately after use. Flea combs are used to simply remove the fleas from your pet. Used daily with persistence, they can be quite effective. Add a little bit of petroleum jelly to the fine-toothed comb to help the flea stick to it for easier removal. Drown the fleas by submerging them immediately in a bowl of hot, soapy water – otherwise they may jump right back onto your pet! 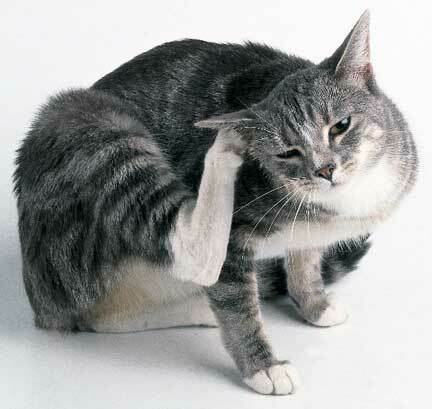 Remember, fleas are very difficult to crush due to their hard, protective exteriors. These products offer protection for 2 – 3 days, and must be constantly re-applied. Powders containing boric acid may cause long-term kidney damage or failure, and inhaling the fine particulates can cause respiratory problems. Flea shampoos can contain natural insecticides such as pyrethrin, (an insecticide from the pods of the chrysanthemum), which does work to kill fleas, but can also dry out the skin, causing the animal to itch and bleed, inviting even more fleas. The formulae for some of these shampoos can cause eye, ear, and mouth irritations, and must be applied slowly and very carefully, avoiding contact with these areas. You must also rinse the product off completely, so that your pet doesn’t ingest any poison by licking his skin and fur. Once very popular, these products are now usually reserved for extreme infestation or suffering. Some contain chemical pesticides that are known or probable carcinogens (organophosphates and carbamates), which can cause respiratory failure, convulsions, and death. Although usually a job for your veterinarian, flea dips can be bought for home use by a pet owner. This is not recommended, however, as the application can be very messy and the product very toxic. You must first wash your pet with a regular shampoo, then place the animal into a basin or bathtub, mix the chemical dip, and apply all over, allowing your pet to drip dry. You must avoid the animal’s eyes, ears, and mouth during application, and ensure that your pet doesn’t lick himself and ingest the toxic product on his body. The person applying the product should wear protective glasses and clothing, a face mask, and gloves. The difficulty of application and toxicity of these products seem to far outweigh any benefit, as there are far safer and easier-to-administer products and techniques now available. These products are applied between the animal’s shoulder blades. Chemicals such as imidacloprid, fipronil, permethrin, methoprene, and pyriproxyfen are some of the active ingredients in these treatments, and these are classified as known or probable carcinogens in animals, and potentially humans. Pros: Depending on your pet, these products are easy to administer, although I once had a cat who would take his medication “hidden” inside a mouthful of tuna – and after he enjoyed every last morsel of tuna, he would jubilantly, (and, I thought, rather triumphantly), spit out the pill! Cons: You must purchase separate products that kill the adult and prevent the eggs and larvae from becoming adults. You are treating your pet with pesticides and nerve agents. 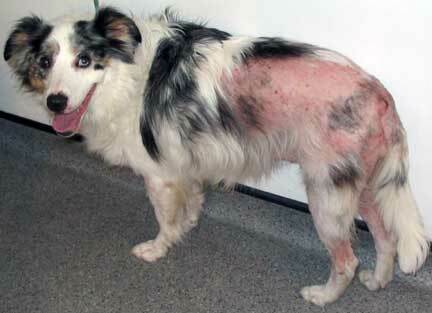 It is always best to seek the advice of your veterinarian prior to beginning any treatment. Never “mix and match” products designed for cats with dogs, as some contain chemicals lethal for the unintended. Some veterinarians recommend switching product brands from time-to-time, as your pet may develop immunity with constant use. When followed according to the manufacturers’ instructions, these products are considered “safe” for many pets. They do, however, contain nerve-paralyzing agents capable of causing convulsions, nausea, and respiratory arrest, in host animals and children, and are responsible for thousands of pet poisonings annually. Some of the chemicals used in these products are classified as known or probable animal and/or human carcinogens. Whether to purchase an over-the-counter remedy as compared to a prescribed medication from a veterinarian can be a delicate decision, too. While you should always try to use the least amount of toxic chemicals to do the job, if the product isn’t strong enough to kill the fleas and prevent the eggs from hatching, it is of no use. On the other hand, a product that is too strong for your pet can cause damage and suffering. This is why it is so important to attack the flea problem before it becomes a major issue, and with products and techniques designed to work over time, rather than always rushing to the store or veterinarian, in search of something immediate to kill an established infestation. When applying any product locally to the skin, you should always watch for signs of skin irritation, and discontinue immediately if your pet has a reaction. If you treat your pet with a spot-on or oral medication and he begins to drool or shake, take him to your veterinarian right away. The cumulative effect of using these types of pesticides and nerve agents over the course of your pet’s lifetime is not well documented; neither is the effect of a human’s contact with pets using these medications well understood. Do your own research and make informed choices that are appropriate for you. “Natural” remedies are a bit of a misnomer, because every organic substance has a “chemical” formulation. Garlic, for example, is edible, and is recommended by some authorities as a natural flea repellent. However, some animals can get very ill from too much garlic in their diets. Remember to consult a professional prior to commencing any treatment. Sometimes, a poison is simply a poison; other times “the dose makes the poison”. Some oils, such as cedar, lavender, peppermint, eucalyptus, lemon, and rosemary can be dabbed on as a spot repellent (try a few drops on the pet’s collar or between his shoulder blades). These oils may cause irritation on some animals’ skin (especially cats) and should be immediately discontinued if your pet has a reaction. This is a natural product made from tiny water plant remains, similar to algae, called “diatoms”. 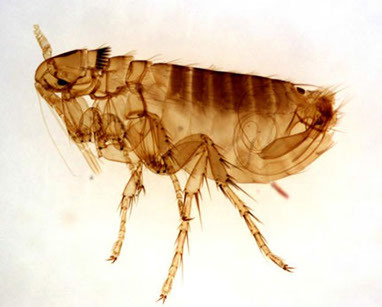 Acting as a desiccant (a drying agent), it dries out the waxy outer layer of the flea, causing it to dehydrate and die. 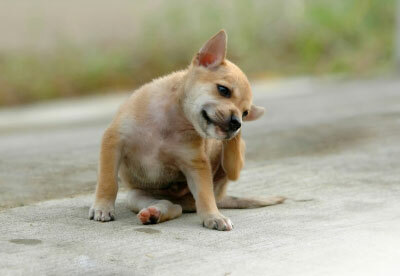 A light dusting on your pet’s fur, as well as ½ to 1 tsp in his food, can help combat fleas. You can also spread a thin layer of diatomaceous earth in your home, wherever you think the flea eggs and larvae are hiding. If possible, leave overnight, and then vacuum up the following day. A word of caution – the dust can be dangerous to humans and animals if inhaled, as the fine particulates can clog breathing passages. Wear gloves and a mask when applying, and have other pets and children out of the house. Make sure to ask for and verify that you are purchasing food grade diatomaceous earth – there is another form that is not safe to ingest. 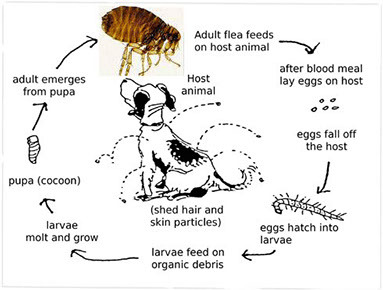 In order to rid your house of fleas, you must break the parasite’s cycle by not only killing the adults, but by also preventing their eggs from turning into larvae. Once the flea has reached the cocoon stage, it is very, very difficult to get rid of, as it can lie dormant for months, impervious even to insecticides. Sprays and fogs will not kill off the pupae inside their cocoons – this is why you may have to reapply treatments months after the last adult flea was seen. You must be persistent and consistent, as getting rid of a well-established infestation is a daunting task. It is much better to get into the preventative mode, and check your pet frequently to avoid an expensive, painful, and time-consuming mess! In the evening, place a bowl of water, with a little dish soap, on the floor in a dark room. Position a lamp to shine on the bowl―the fleas will be attracted to the light, jump into the bowl and drown. Contrary to what you may think, you should not “banish” your pet from the home or room infested, nor should you remove people. The cocoon-stage of the flea is a dormant one, and in order to emerge as an adult, it needs a host (heat source). If you remove your pet, the cocoon will seek out humans. If you remove the humans, the cocoon will simply wait. Heat and vibration are activators – that’s why some people notice a flea infestation when they return to a country cottage that has been vacant for months. This terrible situation is pretty much all-out warfare, small dog scratching fleas with a strategy of “do the most damage in the least amount of time.” If your pet and home have become overrun with fleas, you will need to treat everything and everybody at the same time, and probably for a long while. This will require an Insect Growth Regulator, something to kill the adult flea, and repeated applications of both. You may wish to call in a professional exterminator to spray inside and outside your home. Remember that hairless and/or short-haired animals are less likely to harbour fleas than their long-haired relatives, simply because there is less “hiding” space without fur. Think about this: the flea’s “job” is to be able to feed and reproduce as much as possible during its lifespan, and its role in the natural order is to cull the weak of the host species. Therefore, healthy animals, with strong immune systems, will be more likely to be able to fend off a flea attack without the use of toxic treatments. Try to save the chemical applications for emergency and/or serious infestations, which should allow the best results with the least amount of product. Offer your pet the best quality nutrition you can afford, proper exercise and grooming, a clean living environment, and lots and lots of love and praise. Think holistically, and get into a routine of preventative maintenance that will help your pet stay healthy and strong his entire life.